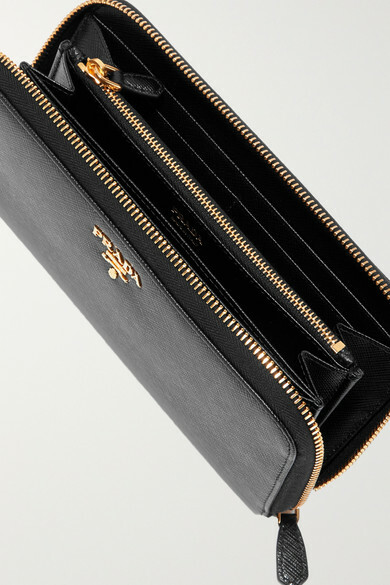 Prada's practical wallet is equipped with multiple card slots and an internal zip compartment – keeping your bills, cards and coins safely tucked away. 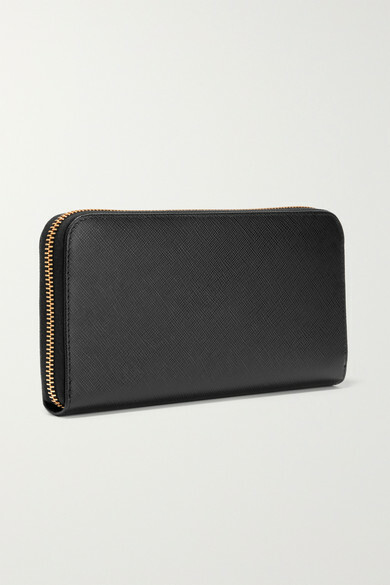 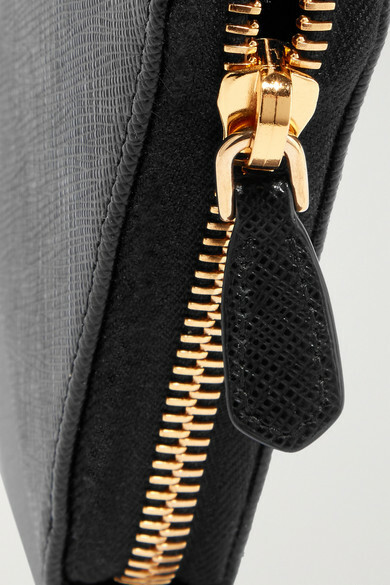 Crafted from the brand's durable Saffiano textured-leather, it closes with a polished gold zip. 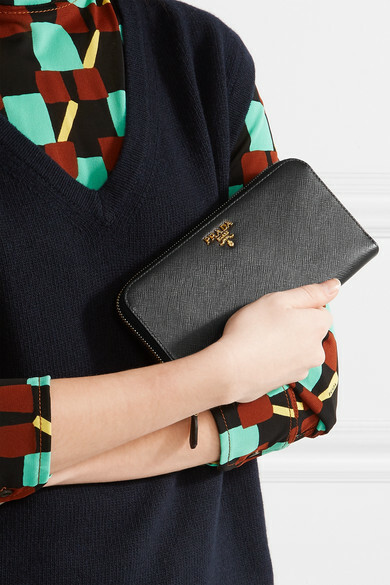 Shown here with: Prada Top, Prada Sweater.